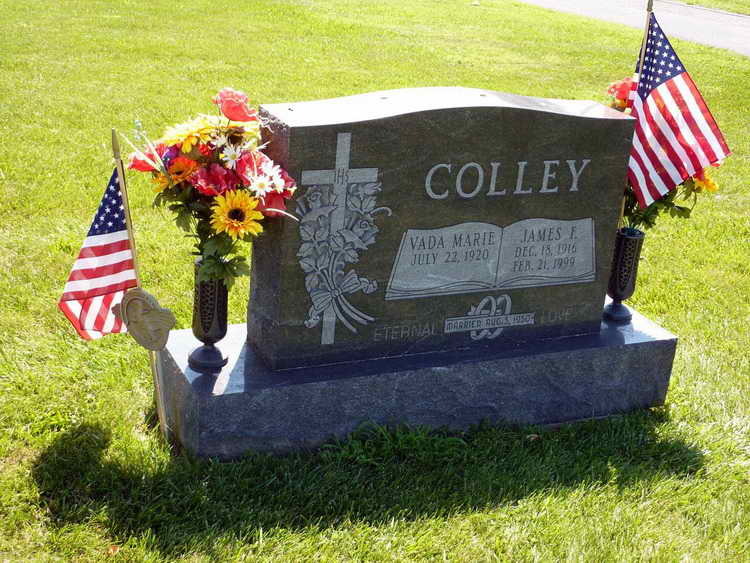 Grave marker for James F. Colley in the New Holland United Methodist Cemetery, New Holland (Lancaster county), Pennsylvania. James enlisted in the Army at Ft Thomas, Newport, KY on 3 December 1942 and was assigned to the Headquarters Company, 3rd Battalion, 508th PIR. Pfc Colley jumped into Normandy on 6 June 1944 and was taken prisoner that same day. He was liberated from Stalag 4B on 14 May 1945.